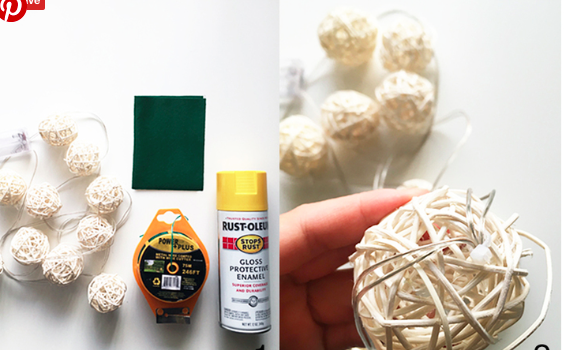 She Spray Paints These Grapevine String Lights Yellow To Dress Them Up In The Cutest Way! Pineapple book ends! Pineapple mason jar drinking mugs! Pineapple wall art! 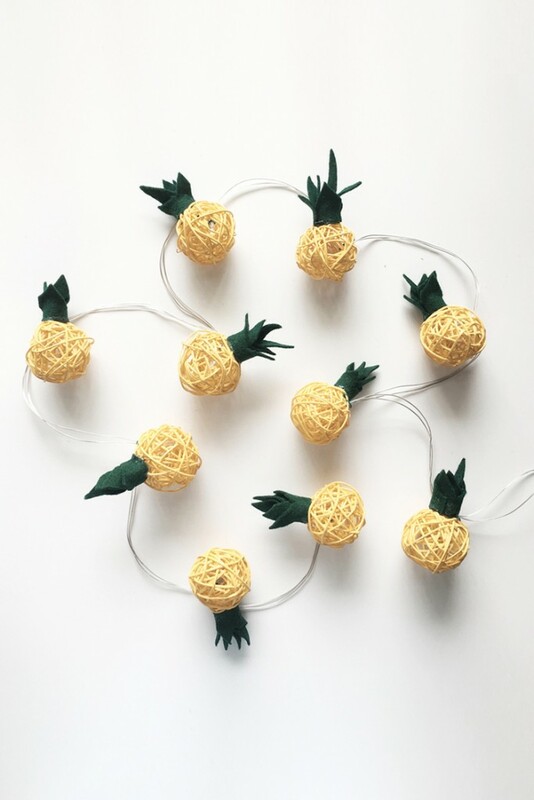 And now, pineapple stringed lights. These are SO cute of outdoors but why not hang them inside over your bedroom windows, too. Nothing like twinkling pineapples to put you to sleep every night. I am obsessing over these! Check out how to make these over at drawntodiy. All your deets for this project are over there along with so many other great projects. What pineapple-themed DIYs have you done?